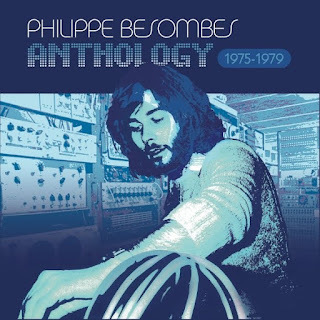 PROG ROCK MUSIC TALK: Deluxe 4CD Box Set Of Studio Albums By French Electronic Pioneer PHILIPPE BESOMBES! Deluxe 4CD Box Set Of Studio Albums By French Electronic Pioneer PHILIPPE BESOMBES! Los Angeles, CA - Though his name is not as well known as some of his contemporaries such as Jean Michel Jarre, Philippe Besombes is widely considered one of the early pioneers of French electronic, avant-garde music. His work, both as a solo artist and in collaboration with others, has been hailed by such modern luminaries as Air and Daft Punk. Now, this unique artist sees 4 of his studio albums released in a deluxe CD box set. The collection, titled Anthology 1975-1979, includes the dramatic electro-acoustic experimental soundtrack for the 1975 film Libra, plus the 1979 solo album Esombeso (Ceci Est Cela), as well as both albums by Besombes’ progressive electronic group Hydravion. Each of the 4 discs comes in its own individual sleeve, and the booklet contains extensive liner notes written by Dave Thompson based on a brand new interview with Besombes. This limited edition box set is sure to be a hit among music collector’s the world over! Good to see him getting some more exposure after the old MIO cd reissues came and went with barely a glimmer of acknowledge,ment from the wider world! I consider myself one of his biggest fans. It does annoy me a bit that although Besombes and Jarre were friends and even worked together in their early days, but Jarre never mentions him in interviews about his past. Couldn't hurt to give a shout out to someone who is much more of a true musical legend! Sure, Oxygene is nice but it didn't exactly break new ground, but rather, played it safe to maximum commercial benefit. Also Heldon/Pinhas get a lot of cred but Besombes was way ahead of the curve in comparison.